With your generous financial support, we can take a stand for justice, love, and peace, and make this a better world. Thank you. You can make a donation, or make a pledge payment, here using your PayPal account or a major credit card. Please click on the “Donate” button below. If you’re already shopping at Amazon, we invite you to shop at Amazon Smile (smile.amazon.com) and choose Aiken Unitarian Universalist Church as your charity of choice. The shopping experience is the same and most products available at Amazon are also available at Amazon Smile. 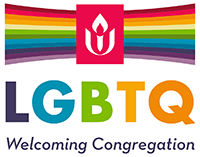 Just select “Aiken Unitarian Universalist Church” as your charity of choice. Amazon will donate 0.5% of the cost of your purchase to AUUC!